We believe that every student can be a leader. The Office of Student Development and Activities has created a full range of leadership development programs and opportunities for MMC students to realize their full leadership potential. The Emerging Leaders program is for new leaders. The focus is on teaching students the fundamental skills of good leadership practice. Through a series of weekly workshops that cover topics ranging from communication skills and problem-solving to time management and addressing conflicts, students will discover their own unique leadership style and voice as they progress through this program. Applications are available in the fall for the program which takes place in the spring semester. The curriculum consists of a weekly professional development /skills building workshop, community service projects, group assignments and a final presentation. To sign up for the 2018-2019 class of Emerging Leaders, please complete the application HERE. The Office of Student Development & Activities facilitates the distribution of leadership-based scholarships . At MMC, we believe that leadership is expressed in many ways, traditional and non-traditional; formal and informal; through campus engagement, academic achievement, school spirit, and service to others. Scholarships recipients are students who demonstrate leadership in all of its many forms, both within and outside of the MMC community. Students are selected through a nomination process. The scholarships are award through the Theresa Lang Endowed Scholarship Fund, the Gladys Brooks Endowed Leadership Scholarship Fund, and The MMC Leadership Scholarship. Learn more about the scholarships and application processes for each here. Recipients of the Endowed Leadership Scholarships are invited to attend a program in recognition of their achievement, to be held during the first week of the fall semester. 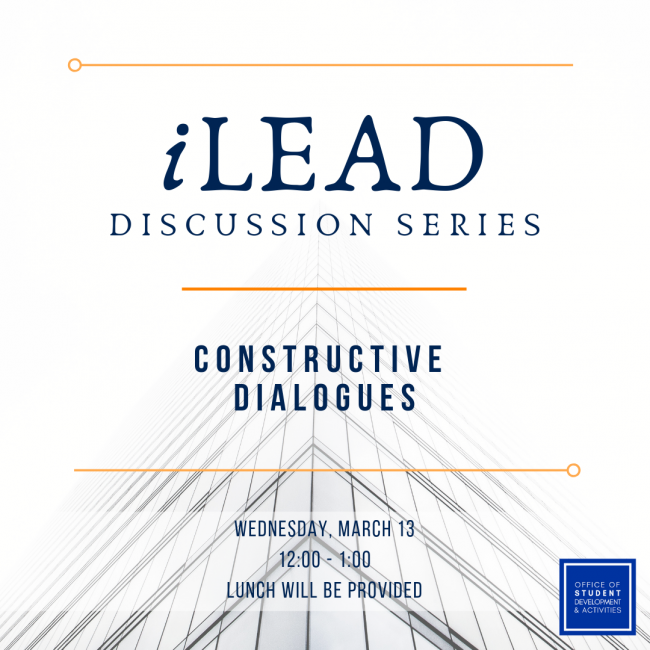 The iLEAD discussion series is a set of four unique discussions centered around different facets of leadership. All discussions will take place over lunch provided by Student Development and Activities. Check out the topics below to see if any of them are of interest to you. 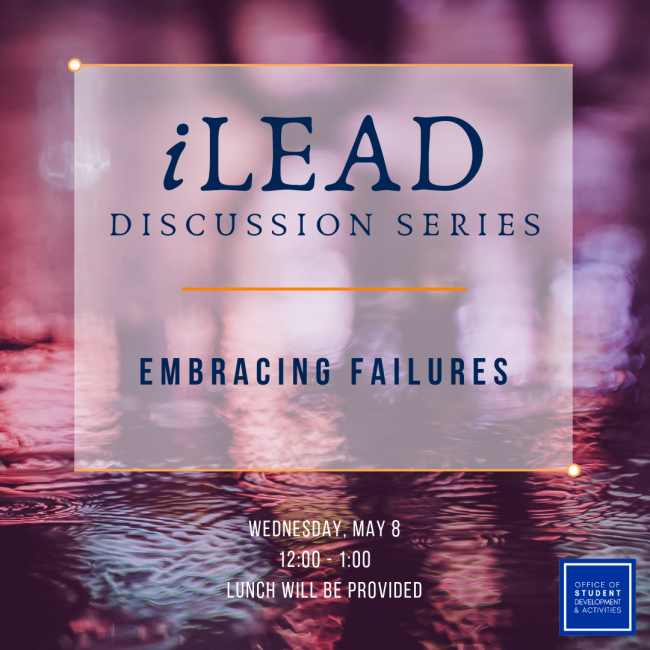 Please email Kevin Croke and/or Ben Giuliana with any questions regarding the iLEAD series. As leaders, we have the ability to make an impact on people in ways we might not even realize. Are you aware of the impact you’re making? In this workshop, we will explore how our actions and words can touch each other in ways we may not even realize. What does it mean to talk to each other instead of at each other? What does it mean to really listen to what someone else has to say, even when we may not agree? How can we share our feelings, stories, and ideas without attacking each other? This will be an experiential workshop focused on developing and practicing listening, communication and dialogue skills. Nothing can make a situation worse than avoiding the problem. Although it can be difficult, it is always better to deal with an issue head-on. 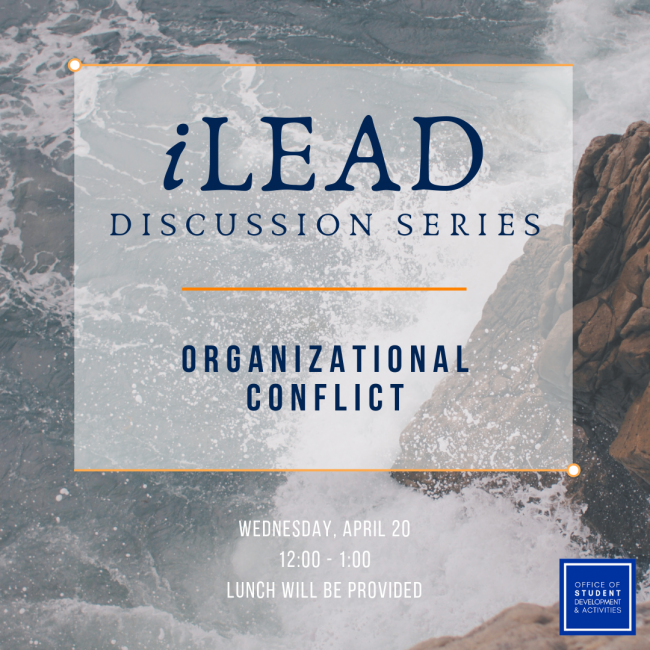 In this workshop, you will learn some helpful tips to deal with conflict mediation. As cliche as it sounds, there is value in learning from your mistakes. Although this concept has been discussed many times by parents, professors, etc., it can be difficult to put into practice. In this workshop, we will analyze past failures in order to draw positive conclusions. Student leaders are encouraged to attend immersive weekend of fun and challenging activities designed to build community and generate new ideas. The 2018 Leadership Immersion Weekend took place Saturday, September 22nd through Sunday, September 23rd. This opportunity was open to all MMC student leaders and we encouraged all student organizations to have their officers attend. For more information on the program, please contact the office of Student Development & Activities at Activities@mmm.edu . The Office of Student Development and Activities provides an annual Leadership Summit for all students that takes place at the beginning of the spring semester. 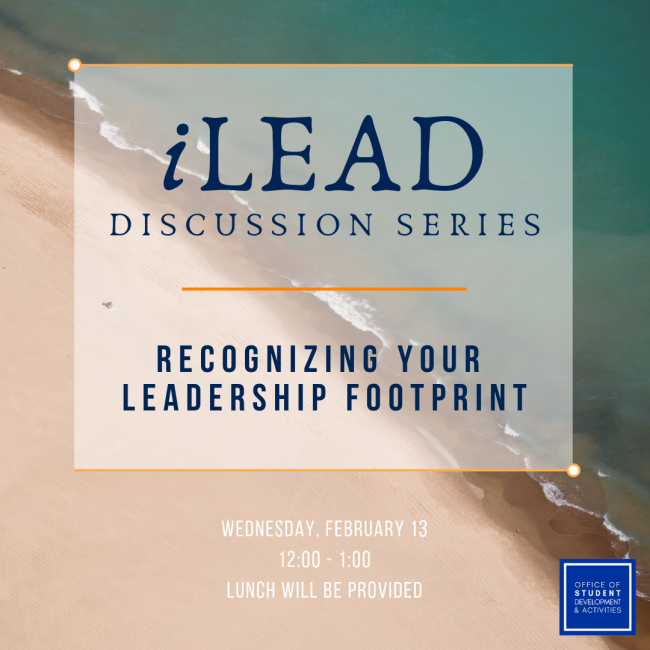 The topic varies from year to year, but the theme is always related to leadership. Past themes have covered inclusion, privilege, and diversity; personal leadership; motivation and leading through conflict. The 2019 Leadership Summit will be held on Sunday, February 24th 12pm-4pm. Registration for the Summit will begin on Friday, February 1st. If you would like to suggest a topic or series of topics for this year’s Leadership Summit, please submit your suggestion HERE . The Peer Leader program is a highly selective leadership opportunity for upper-class students (juniors and seniors). Peer Leaders play a key role in orienting incoming first-year students to the College community through serving as mentors and guides during New Student Orientation and as a teaching assistant for the NYC Seminars. Peer leaders receive intensive leadership training, an opportunity to network with faculty and staff, and are compensated for their work. Students who are interested must complete an online application and participate in an interview. The selection process begins in the spring semester. Applications for 2019-2020 are now available. At MMC, student clubs and organizations operate independently. However, we know that leading a student club can sometimes present challenges. The Club Officer Training program is designed to support students who maintain official leadership positions on campus. We help club officers navigate administrative issues and identify resources, and we provide general advice on good organizational management practices. RSO officer training sessions will be scheduled at the beginning of each semester. The fall 2018 sessions took place on September 10th, 14th, 18th, and 20th. If you would like to request a separate training for your organization officers, you may complete the following request form.